but very few Aztecas qualify as AMERITANOS! can be registered with IALHA - & the Azteca registry. 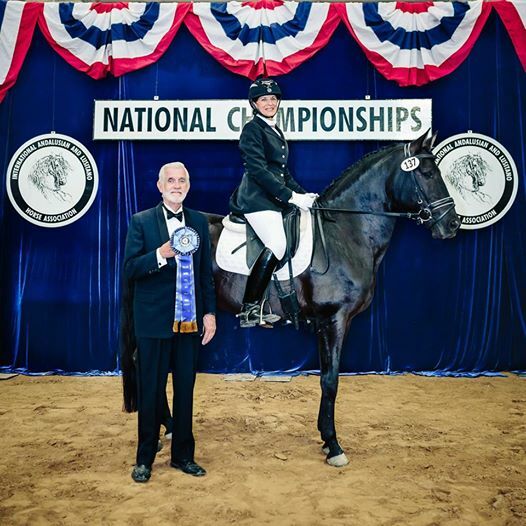 as well as NRHA, NCHA, and many other events. 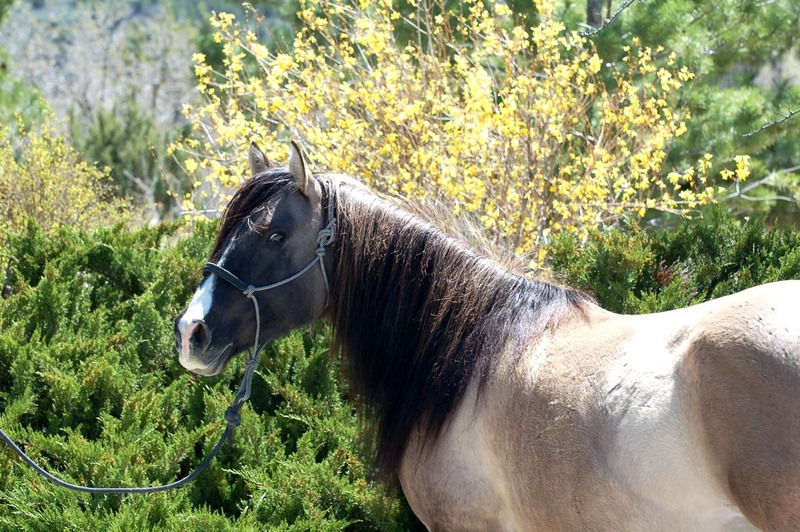 An AMERITANO is a special cross between a Portuguese Lusitano - and an NFQHA horse certified at 90% or higher. 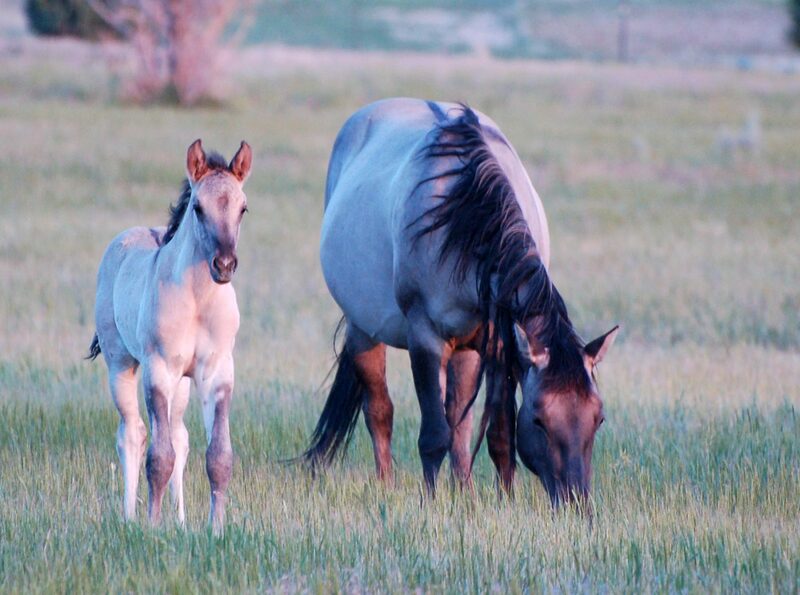 If one parent is an IALHA S/P it must be a minimum of 75% Lusitano (no more than 25% Andalusian). 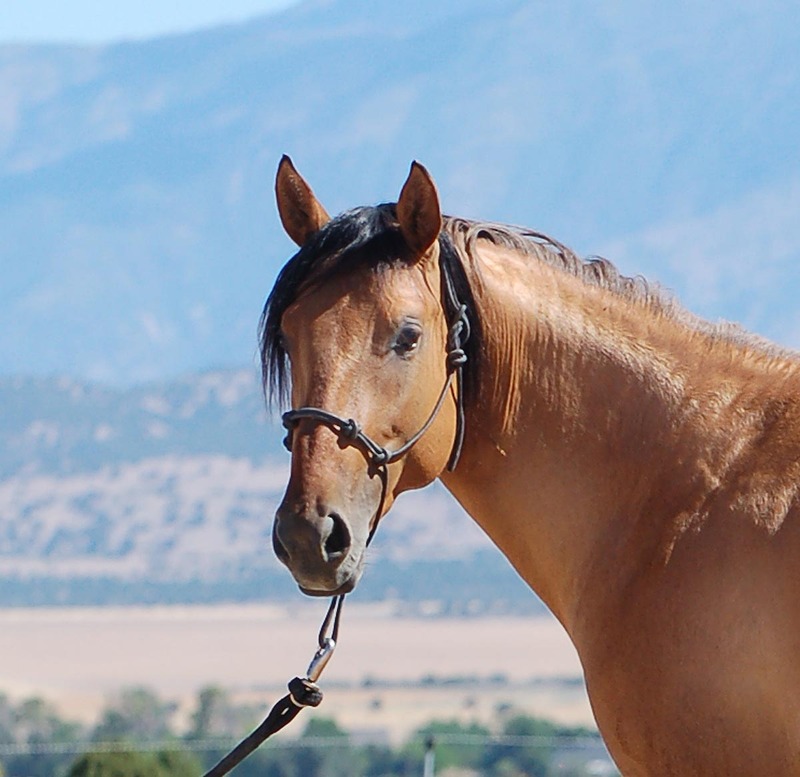 If you are looking for a great Using Horse that will be a joy to train and ride, the Ameritano (aka Azteca) may be the horse for you! 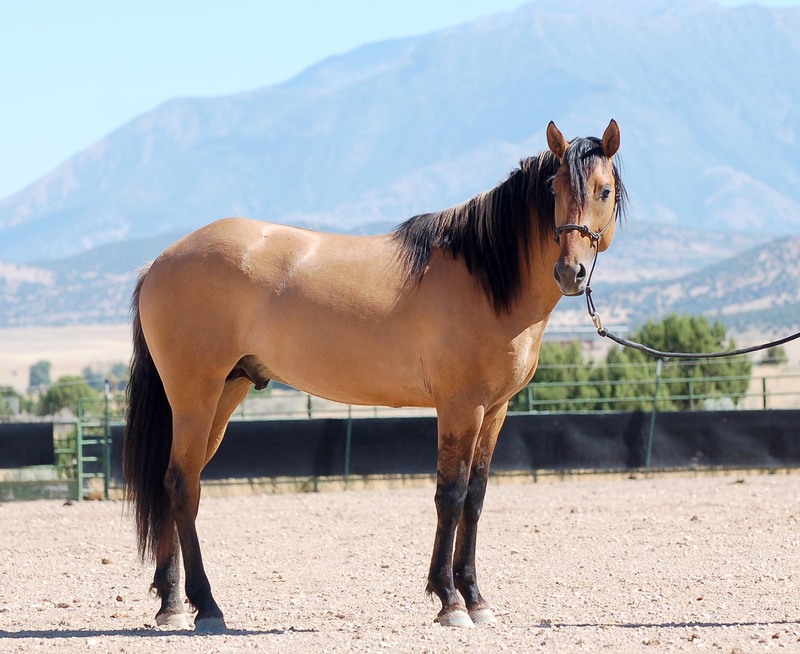 Combining beauty, athleticism, and smooth graceful movement with natural cow sense the Ameritano will be an all around horse from working equitation to ranch horse. 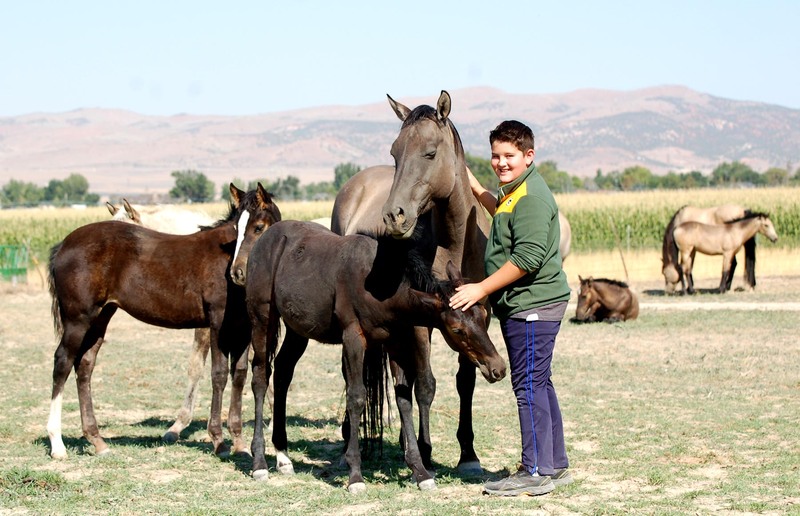 Our 2018 Ameritano (Azteca) foal crop by E Preto is here ~ all grullo & black ! 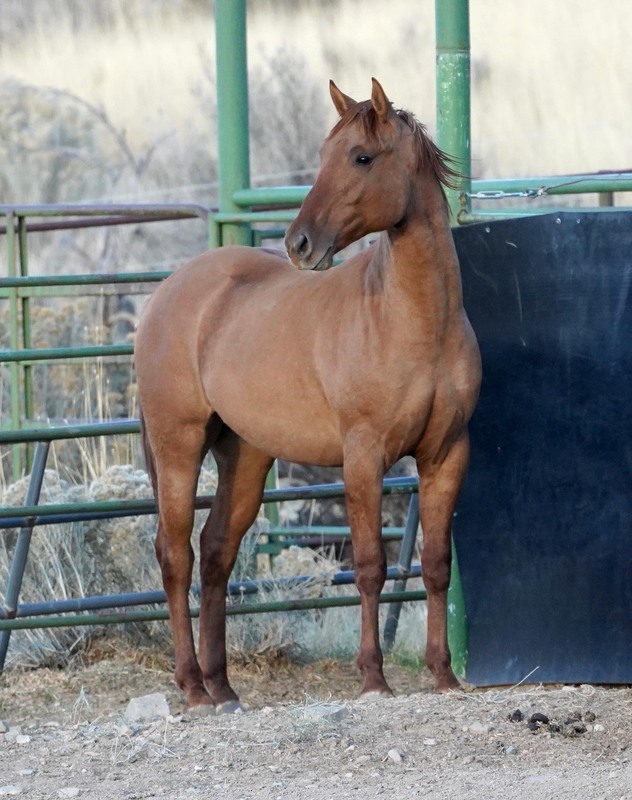 As we hoped, our Ameritano babies are exhibiting the wonderful Foundation Quarter Horse disposition. 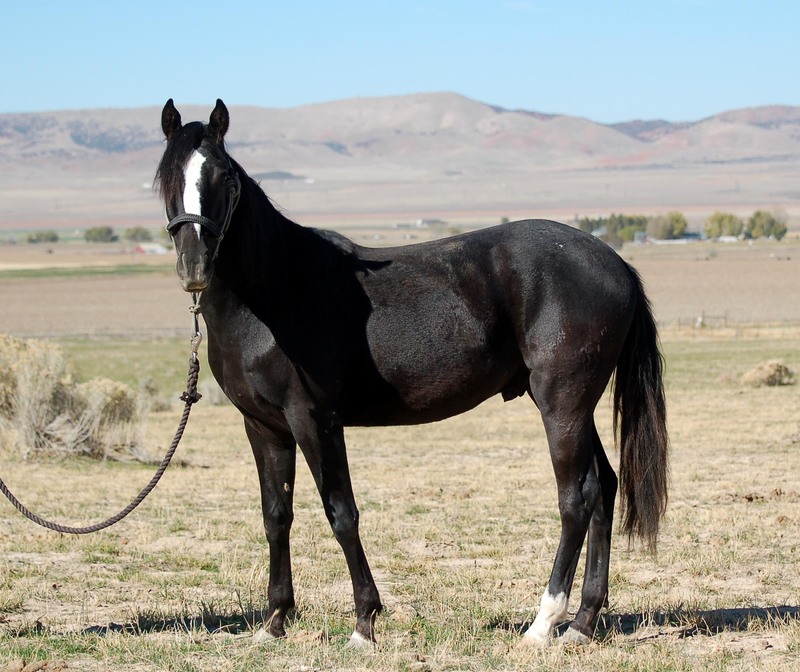 Two grullo AZTECA "A" mares for sale. Dulce is a super sweet filly and a very pretty mover. 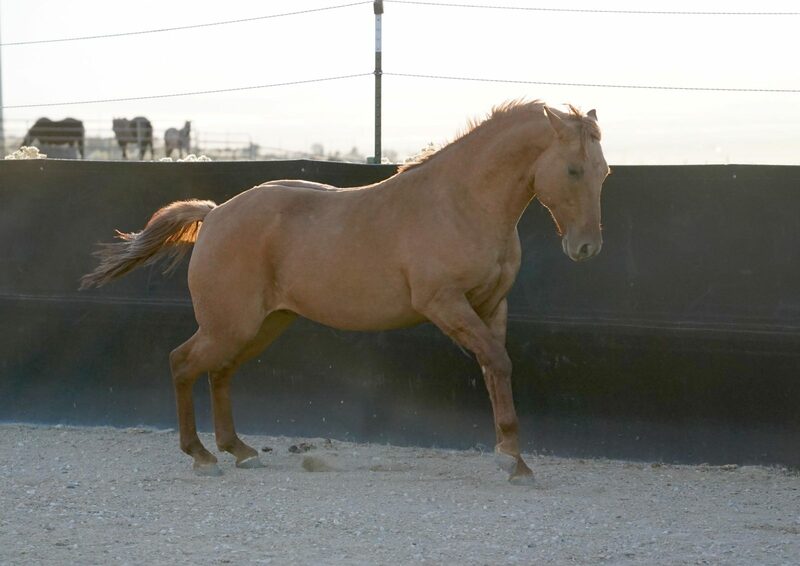 68.75% Lusitano (the balance is QH) and bred to go any direction from Dressage to Ranch Horse! 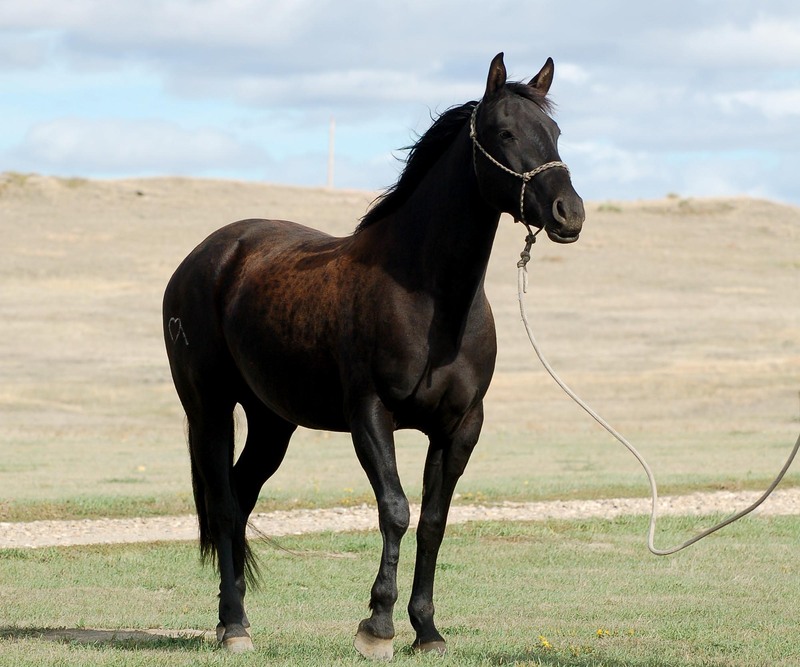 By E Preto (Lusitano) and out of Azteca 'A' , Jaz Azure, a daughter of Jaz Poco Bravo (100% NFQHA). 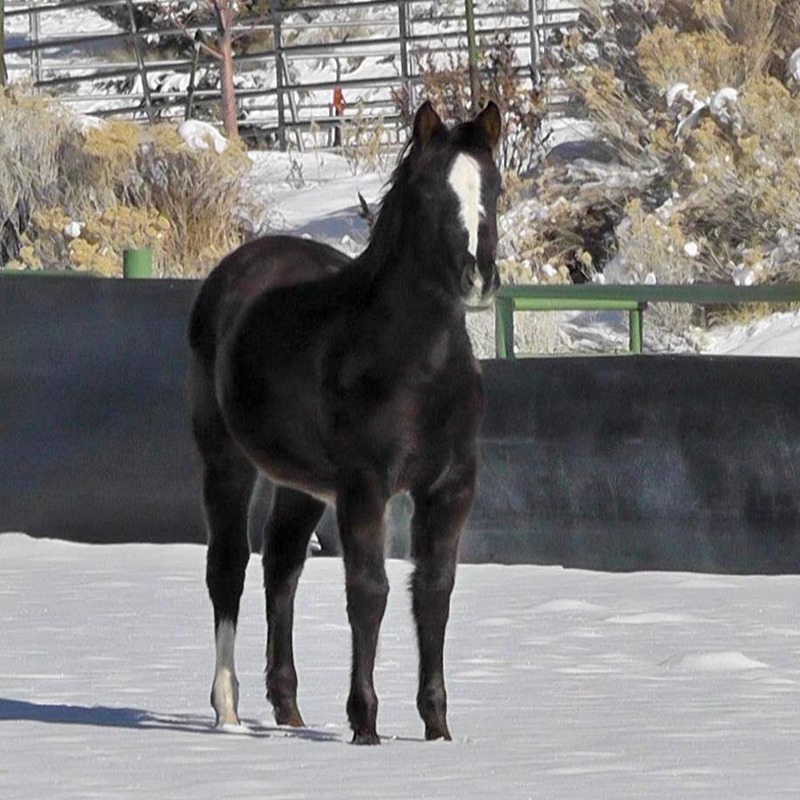 Jaz Knight is a full brother to Jaz Dulce and just as sweet. 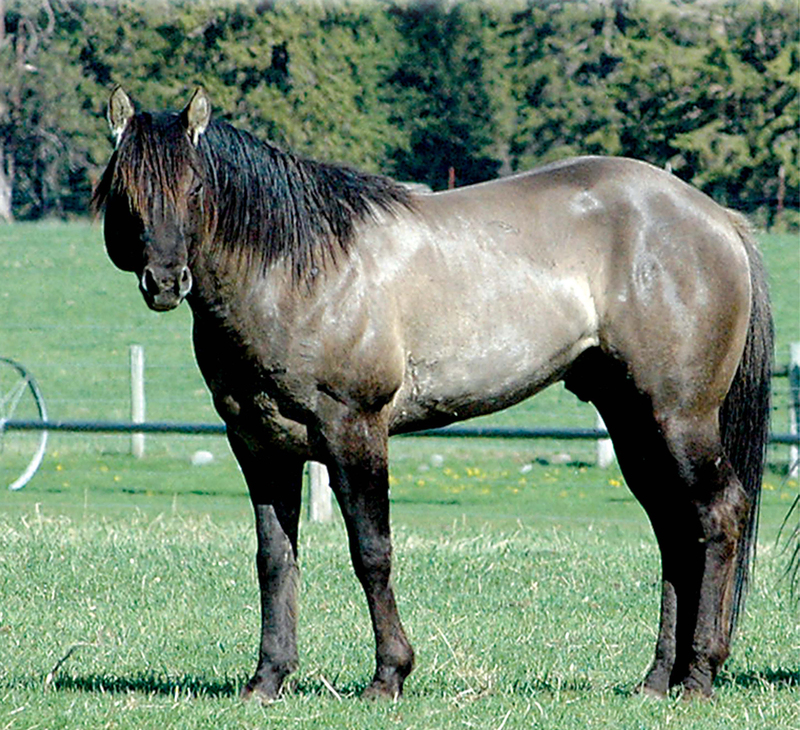 Shown as a yearling. Wouldn't they make a pretty team !! 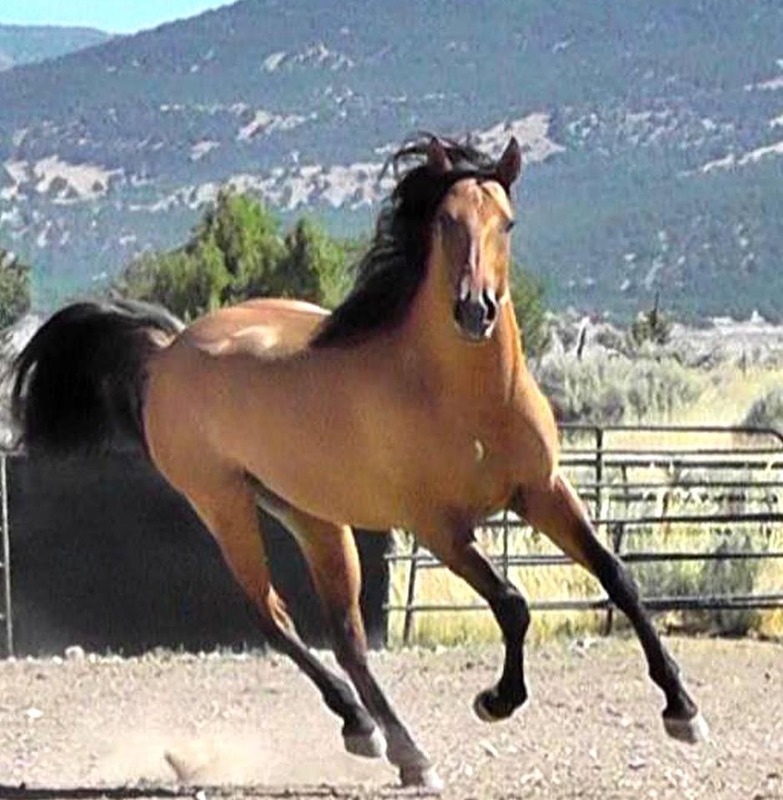 MARIACHI - 2016 Ameritano stallion by RF Tee J Steel Dust (100% NFQHA) and out of Zaphrodite. Mariachi is eligible for registration with IALHA & any of the Azteca registries. 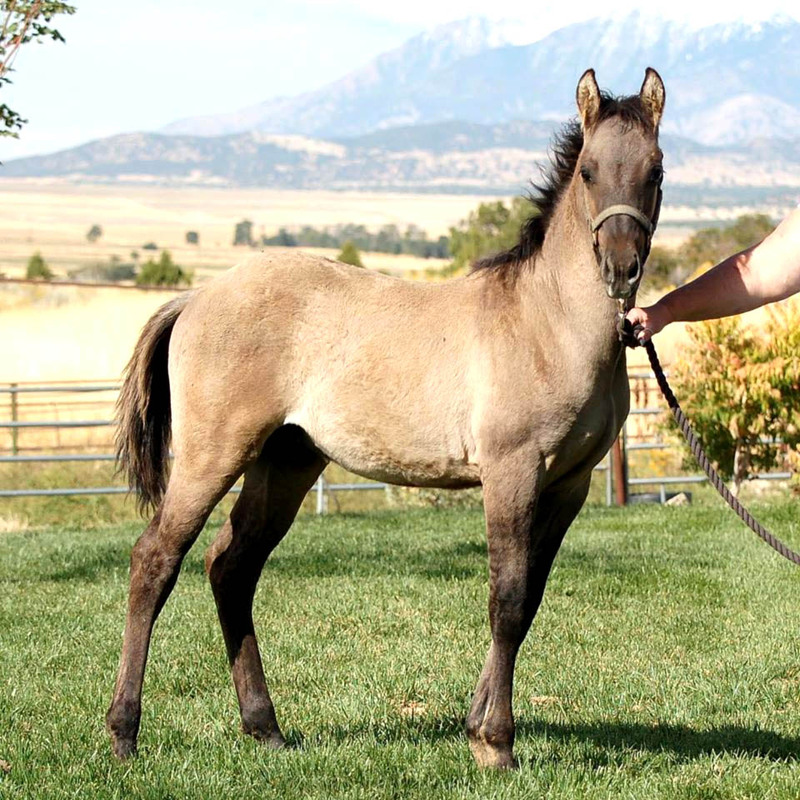 FOR SALE: Azure - Azteca "A" Grulla mare still in winter coat. 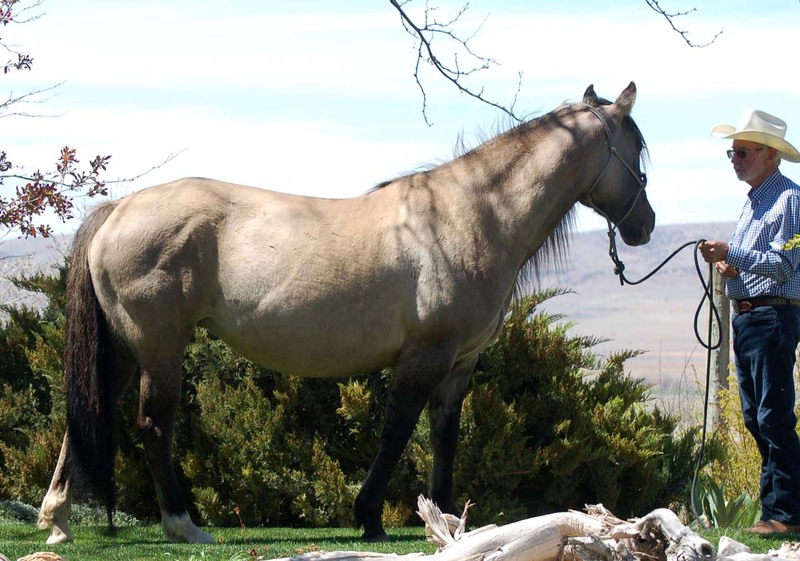 Fantastic opportunity for an Azteca breeder to obtain an 'A' grulla mare. 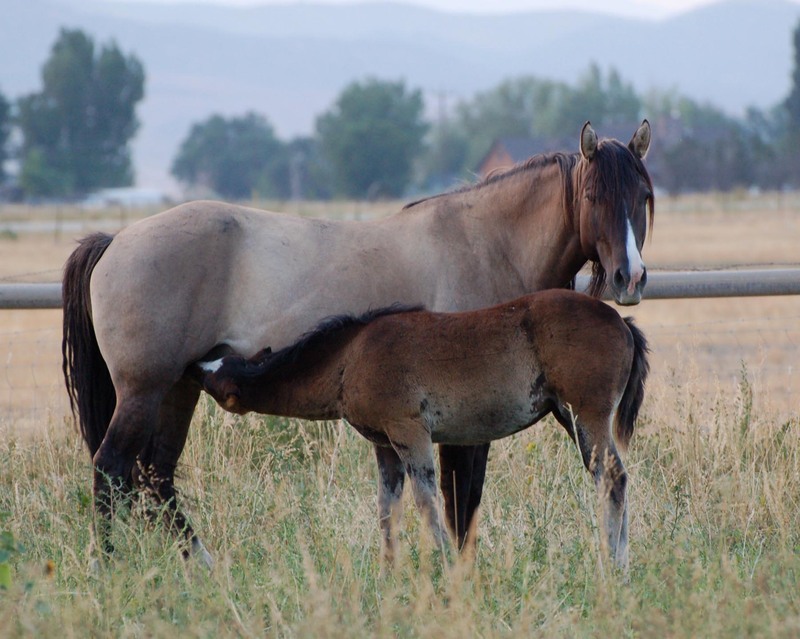 Sire shown below: Jaz Poco Bravo (100% NFQHA). 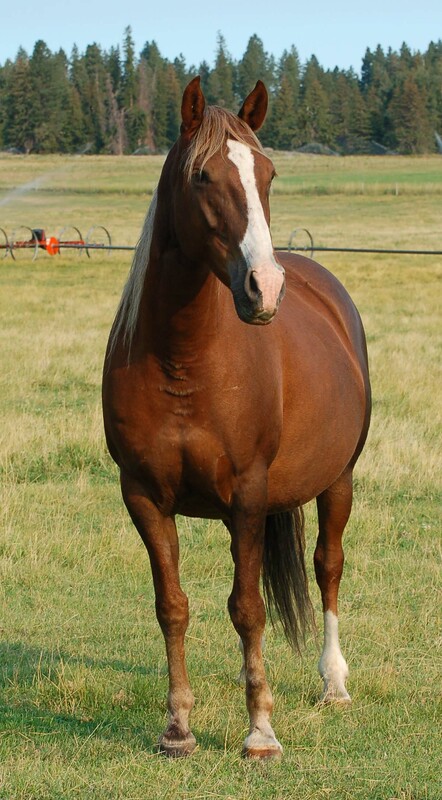 Dam shown below: Zorafina (Azteca "B" registered with IALHA). 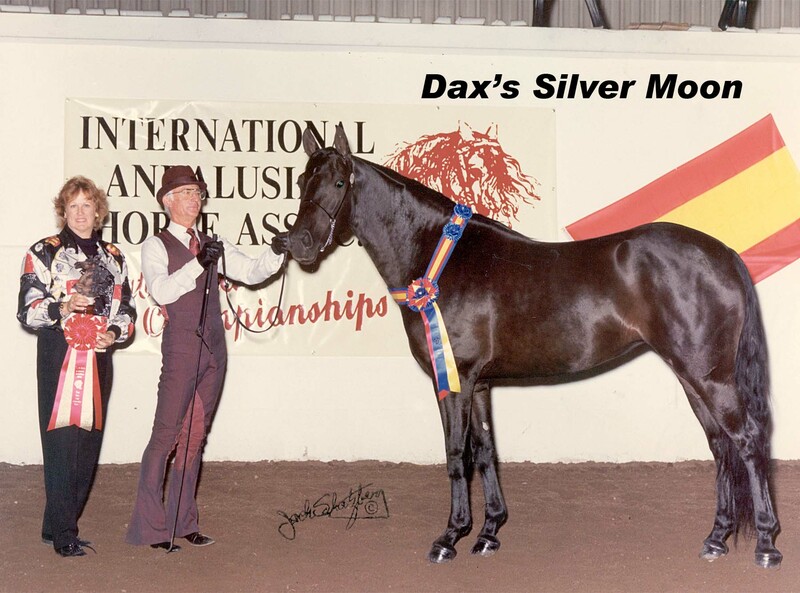 Azure's maternal granddam: Dax's Silver Moon - Azteca "D"
Above: SOLD - E Preto's first Ameritano, Armani, a 2017 colt out of Jaz Ebon n Ash (100% NFQHA). Armani is everything we hoped for in the cross. Gorgeous, elegant, super smart and willing. 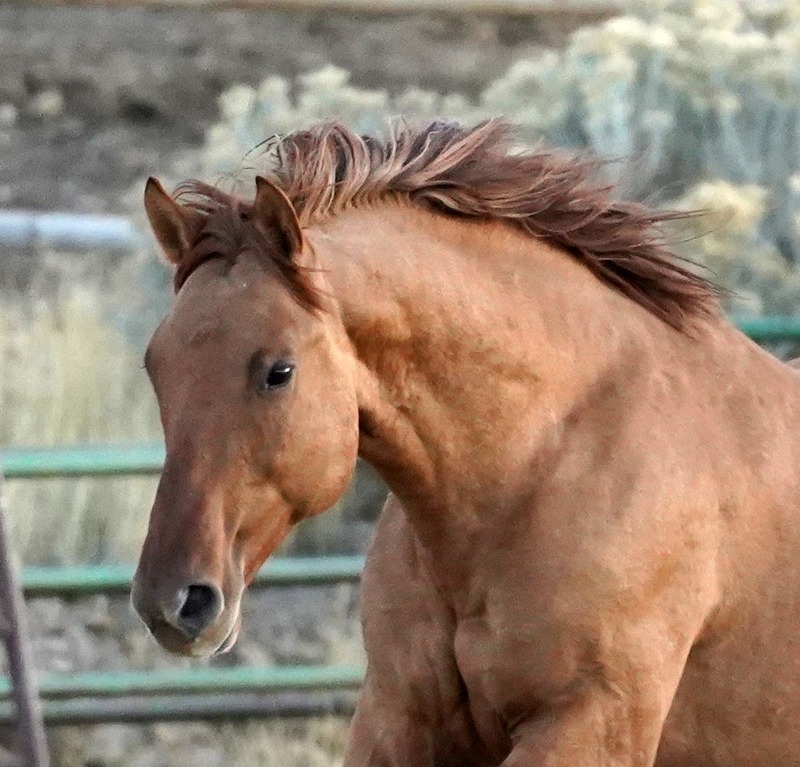 Now we just have to wait to see if he possesses the natural ability for the wide variety of events from dressage to working cow horse that we fully expect. 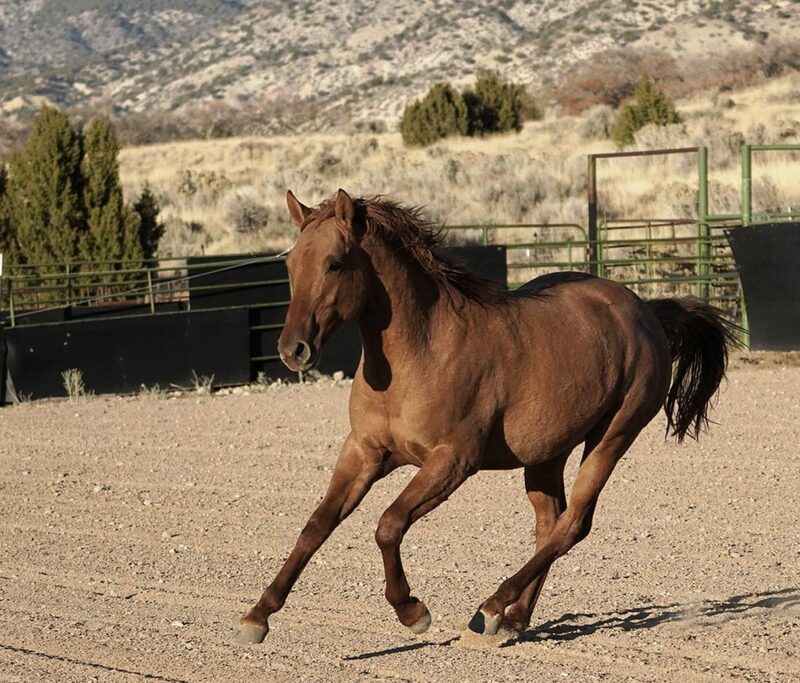 Above: SOLD: Acero, Melissa's first Ameritano from Jaz Ranch, Cabalitto de Acero (Calido CD x Heflin's Steel Jaz) excelled at every turn and Melissa said he was the best horse she ever owned, so Armani has big horseshoes to fill! 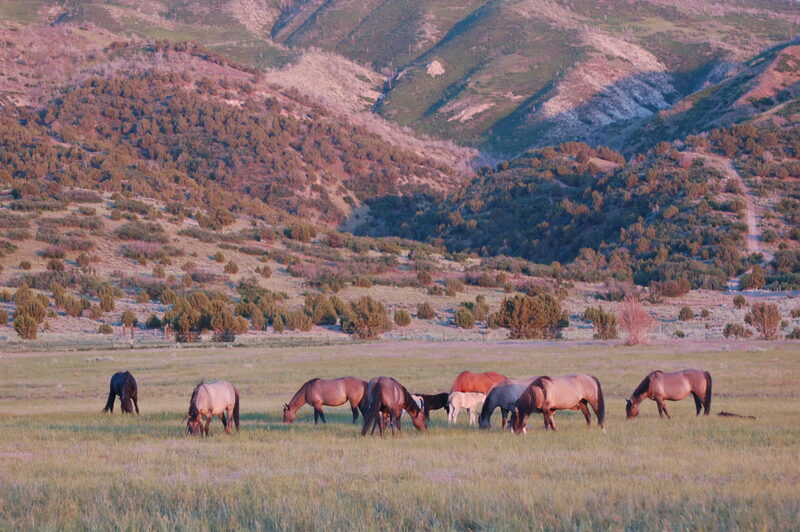 Melissa and Ty Fowler have a huge working cow ranch where Armani will be put to the test on a myriad of tasks. 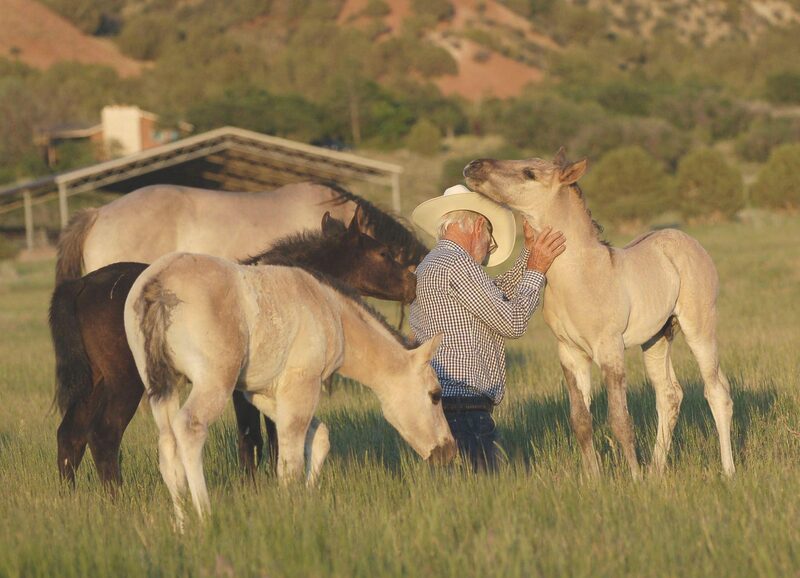 Our IALHA National Champion Lusitano stallion, E Preto, shown with his herd of NFQHA mares in 2018 - 4 100% NFQHA mares, 2 Jaz Aztecas, 1 S/p and 1 Lusitano! Should be an exciting 2019!